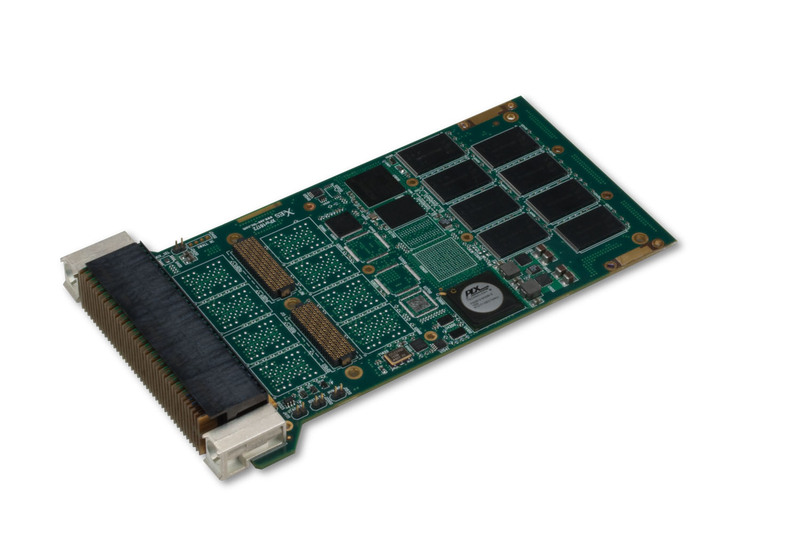 Extreme Engineering Solutions, Inc. (X-ES) is providing one terabyte of solid state storage in a single 3U VPX slot. The newly available conduction- or air-cooled 3U VPX XPort6172 Solid State Disk (SSD) provides up to 512 GB, or a half terabyte (½ TB), of solid state storage with data encryption. However, 1 TB in a single 3U VPX slot is achievable by mounting the XPort6103 512 GB XMC SSD onto the XMC site of the XPort6172. The XPort6172 and XPort6103, individually or combined, satisfy the rigors of MIL–STD-810F and -461E – they are ready for the harshest deployments. The XPort6172 supports 256-bit AES encryption, utilizing the 123 NIST- and CSE-certified Enova Technology X-Wall MX-256C encryption chip. Additionally, the XPort6172 supports “zeroization” (i.e., enhanced erase) and satisfies DoD NISPOM 5220.22 and NSA/CSS 9-12 specifications.